Everyone knows the name Mary Lou Retton, but since 28(!) years have passed, most young gymnasts have never seen her performances. 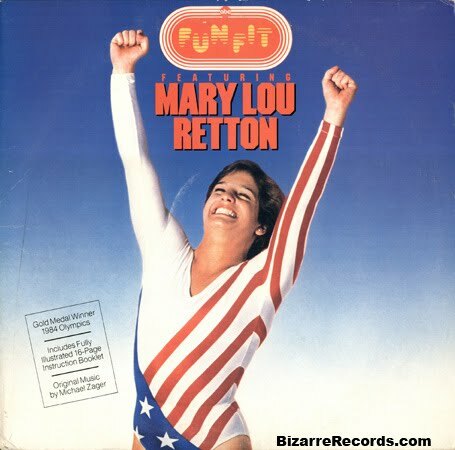 Mary Lou was my introduction to gymnastics, and there has never been a better ambassador for the sport. She's so well remembered for her happy personality that few may realize that she was very much ahead of her time in terms of difficulty. On floor, a double layout opening pass/ tucked full-in second pass is difficulty that would hold up today in competition. Here she is, a few months before the Olympics that made her famous. Even though the second pass has a fall, it's a great clip to see the speed and height of her first pass, the double layout. In the Olympics, it came down to vault, and again, she was so ahead of her time with a powerful layout full twisting Tsukahara. Worth noting: this documentary style commentary mentions that "it was determined that Retton needed a perfect ten." This was determined by viewers, commentators, coaches, etc. The judges, who remain at one apparatus for the competition, would not have known what score she needed for the win.